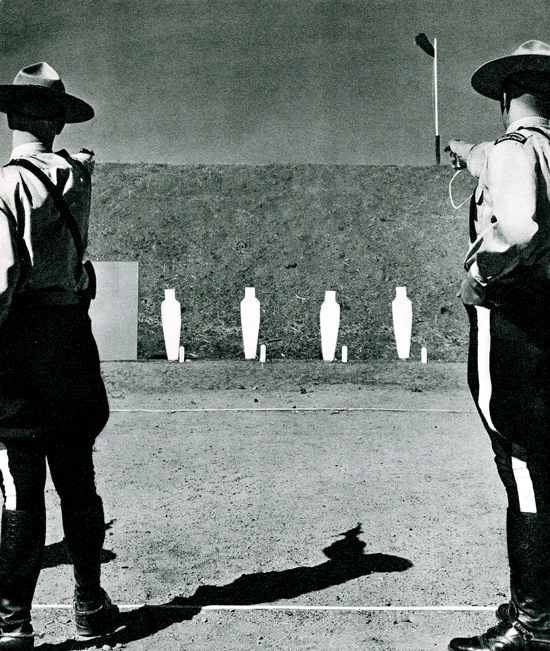 For many new Force recruits, their “Depot” firearms training was their first exposure to firearms. While others, recruits it was just a review. 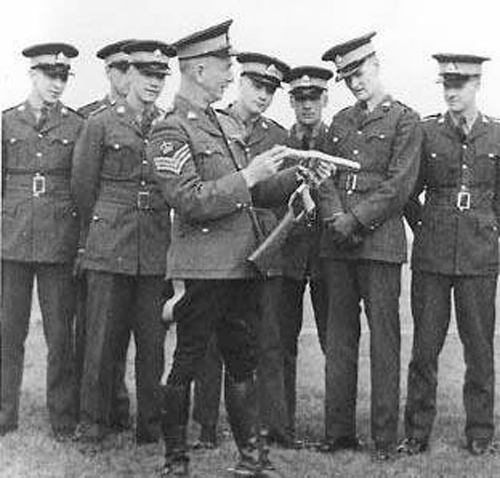 1940s – Photograph of a ‘Depot’ Firearms Instructor explaining to recruits on the details of the tear gas gun (Source of photo – Ric Hall’s Photo Collection). 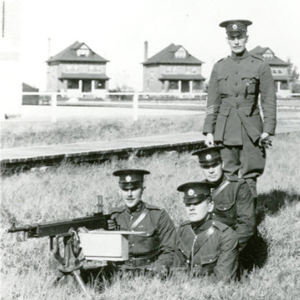 Photograph of the outdoors revolver range at “Depot” Division (Source of photo – Ric Hall’s Photo Collection). 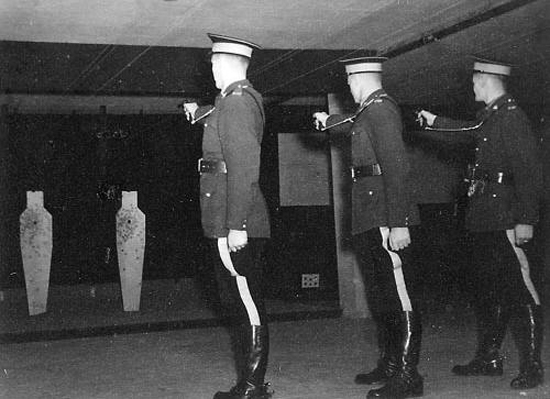 1940s – Photograph of the indoor revolver range in the basement under the old gym (Source of photo – Ric Hall’s Photo Collection). 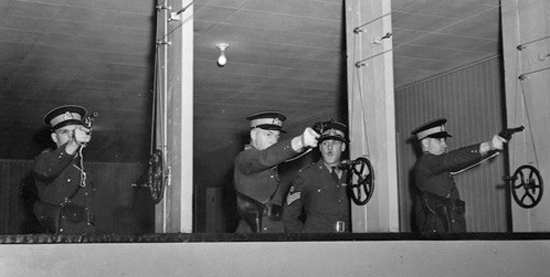 1930s – Indoor firearms range in the basement of the old gym at “Depot” Division (Source of photo – Ric Hall’s Photo Collection). 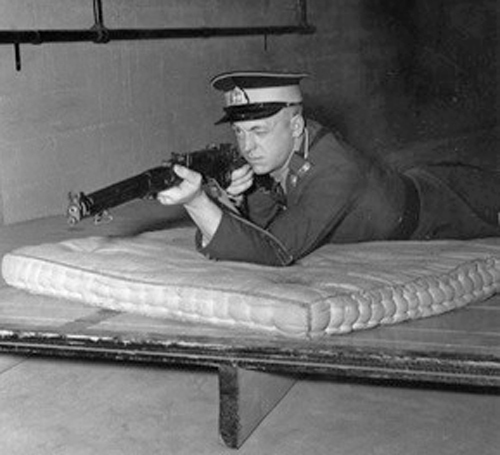 1930s – Photograph of the indoor rifle range in the basement of the gym at “Depot” Division. Rifle being used is a .22 caliber. (Source of photo – Ric Hall’s Photo Collection). 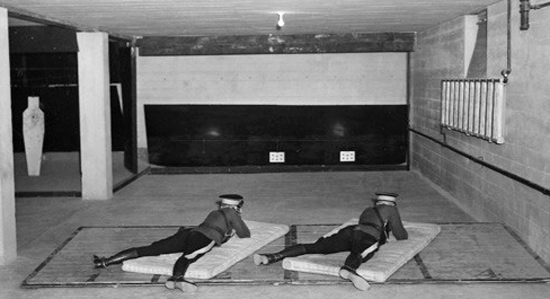 1930s – Photograph of the indoors rifle range in the basement under the gym at Depot Division (Source of photo – Ric Hall’s Photo Collection). If you have Force related photographs which you would like to have included in one of Ric’s forthcoming webpages, please email him at rshall69@shaw.ca. Ric will scan the images and return the original to you.